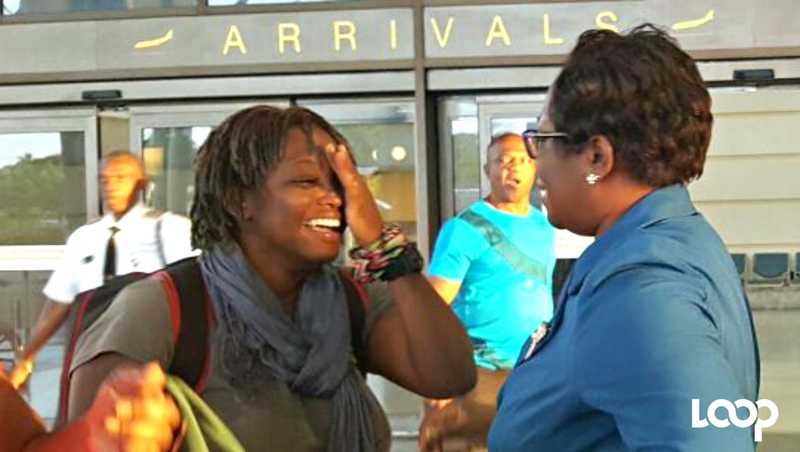 Dominique McDonald excitedly going to hug her aunt while her mother Marva Moffie is engulfed in a bear hug behind. 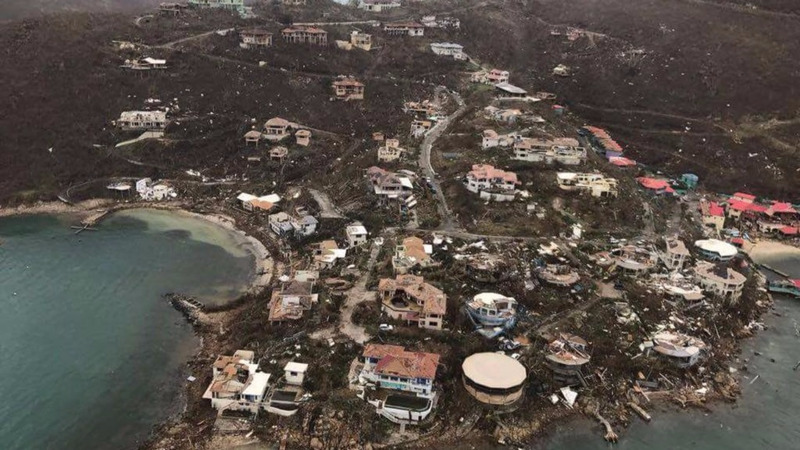 Three children were left shaken by the winds, rain and devastating impact of Hurricane Irma as it wreaked havoc on the island of Tortola. 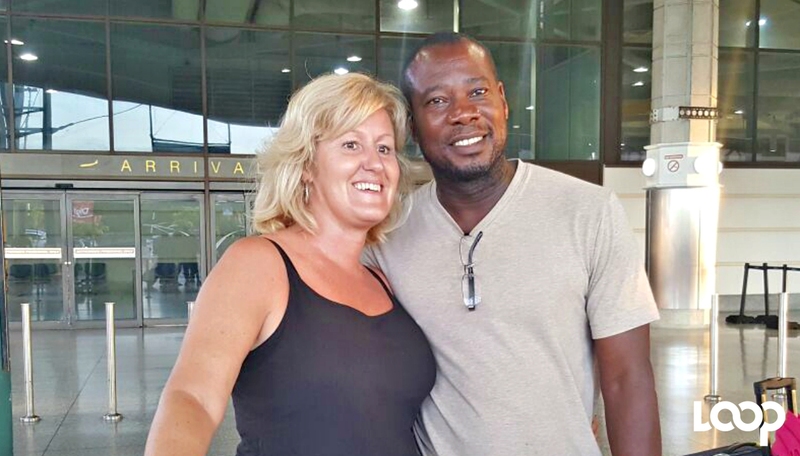 When communication with loved ones went down for two children whose parents were on the island living and visiting, it was unbelievable, and for another child who was living in Tortola, the impact was most earth shattering. 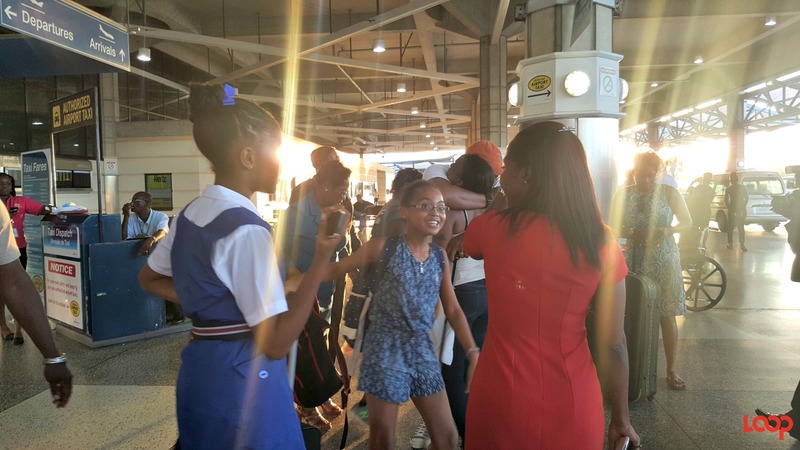 Nine-year-old Dominique McDonald is a Barbadian but she has been living in Tortola with her parents for the past year and a couple months. Dominique was even enrolled in school there over in the East-End. Thinking back to how it was when Irma made land on the small Caribbean island, Dominique said, “Thank God for the safe room.” She said that ahead of Irma her dad David had placed supplies, blankets and food in what was there old laundry room within their apartment and that was where she and her family huddled while riding the worse of Irma out. What they described may have been the passing of the eye, because next, what Irma brought, the family was not prepared for at all. After 11:00 am everything changed for the worse. David yelled for Dominique to get into the safe room and the shutters could not be held, they started to come lose and so Marva and David pulled the mattress, sofa and a 50-gallon container of water and tried to place them against the door of the safe room. When the calm returned their apartment was in shambles. Broken glass everywhere; the house was inhabitable. At that moment their downstairs neighbour came up and he said that they come downstairs by him and they gathered what they could and fled to safety. The little girl turned nine years old the day after Irma devastated Tortola. Irma made land fall on September 6, and Dominique celebrated her milestone on September 7, 2017. Asked about her friends from school, she rubbed her hands up and down her arms hugging herself saying that she had heard the East-End was most badly impacted and that’s where many of her mates live. Lois Oliver said that her family is just so pleased and happy that her sister Sheena Bancroft is fine but none more so than Bancroft’s young daughter Ashley. Bancroft has been living and working for a year in Tortola while her toddler resides in Barbados with the rest of the family. Speaking to Loop yesterday, Oliver explained that Sheena’s daughter shocked the family when she asked about her mom’s situation following Hurricane Irma. 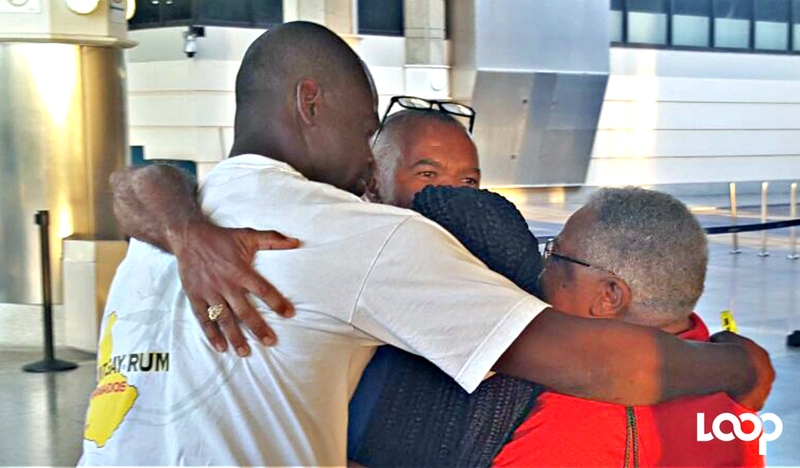 Caption:Sheena Bancroft, Ashley's mother being greeted by family at the airport. McDonald, Bancroft and Whitney were among the 12 persons who returned home with the British Military yesterday after successful efforts by the Ministry of Foreign Affairs.